Wal-Mart faces a daunting business challenge. When Wal-Mart started its high growth strategy in 1969, it followed the movement of American middle class families from declining cities to new suburbs. Wal-Mart built thousands of stores to service this massive migration of growing household income, along with distribution centers to link these suburban and exurban stores into the largest retail chain in the world. It now has 9,000 stores in 15 countries, annual gross revenue of nearly $500 billion, and 2.2 million employees. The majority of its revenues still rest in the United State, and that is precisely the pivot of its current strategic dilemma. Even before the financial collapse of 2008, a new knowledge economy arose in the U.S. to replace unionized skilled manufacture and management intensive legacy service industries. Vast numbers of skilled workers and middle management customers of Wal-Mart raised their children in the suburbs and finally sent them off to college to learn the new skills of the knowledge economy. Many never returned to the suburbs. The new generation of informational technologists and marketers moved to high tech urban centers and created an entirely new kind of professional middle class; with a new life style of work, living and play. They clustered in re-gentrified downtown neighborhoods of top cities. Wal-Mart lost their business. This demographic shift was conjoined with the retirement of Baby Boomers, who down-sized their suburban homes and moved into city condos to be close to their urban children and to the cultural enrichments of city life. Like their children, they brought their income with them. Wal-Mart lost their business, as well. By 2000, there were more poor people in the suburbs than the cities, – the exact opposite circumstance that propelled Wal-Mart originally to build its suburban retail empire. The result today is that Wal-Mart, the largest retailer and grocer in the USA, grew only 1% in 2012 revenues over the previous year. Their foreign stores in developing regions were growing at 14 to 16 percent annually. With the end of the U.S. suburban growth paradigm, Wal-Mart could only grow in the U.S. if it could locate new stores in American top cities. But here is the rub. The top U.S. cities do not want Wal-Mart. Cities have a different culture than suburbs and rural areas. The social force of city life is liberal. The cities are “blue” states, -educated, diverse, anti-consumerist, pro-union, low birth rate families and mostly singles, condo owners and renters, pro-small shops, walkers and cyclists, anti-corporate, and price insensitive convenience shoppers. The suburbs and rural areas are “red” states, – conservative, anti-union, family oriented, home owners, auto reliant, mall and big box dependent, and ultimately price sensitive. These cultures are poles apart and antagonistic. While Wal-Mart needs to penetrate the cities to grow revenues and margins, the cities fight Wal-Mart entry at every turn. It took the veto by Mayor Richard M. Daley to override the Chicago City Council City to open one Wal-Mart Express Neighborhood Store in Chicago’s loop. At 27,000 square feet, this store pales in size Wal-Mart’s average 102,000 square feet store, not to mention its mega stores above 200,000 square feet. New York, Boston, San Francisco and many other liberal cities has successfully resisted Wal-Mart’s entry into their market. To accommodate city resistance, Wal-Mart is trying to sneak in with small express stores and neighborhood markets. This is gaining some access in Philadelphia, Chicago, Baltimore and several other major cities. However, the profitability of these high cost, low volume stores is dubious. The latest city defeat of Wal-Mart is their planned entry into Washington, D.C. This time they tried a new strategy to win local support. Instead of small express stores, Wal-Mart planned six large stores in poor areas of city with high unemployment and under-developed retail. These stores would hire 1500 workers and provides lower prices to poor families. This scale plan of six large stores was a significant economic development for the city and received the support of developers, commercial groups and the Mayor. 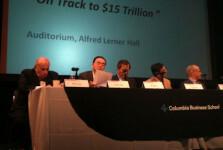 Wal-Mart’s opponents devised a novel strategy to defeat Wal-Mart by City Council action. With union support, they crafted a minimum $12.50 “livable wage” bill for new stores over 75,000 square feet and annual corporate revenues of at least $1 billion. The “livable wage” is 50 percent higher than the current minimum wage. 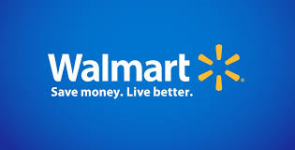 This hit Wal-Mart’s planned store size and grandfathered-in earlier large stores like Target and Best Buy. After intense liberal dissent and lobbying and Wal-Mart’s threat to exit, the City Council voted 8 to 5 for the living wage bill. It is now up to the Mayor Vincent Grey to either veto the bill or forgo important economic development. Every new Wal-Mart store attracts new service businesses and property development. A veto can only be overridden by a unanimous council decision. So Mayor Grey can make it happen! Wal-Mart has announced its decision to withdraw from three of the six developments that are not already under construction; and has made no comment on what it intends to do with the three sites already under construction. They may cut their loss and pull out entirely. Even a mayoral veto, which would enable them to proceed, would only face Wal-Mart with a prolonged and ever inventive adversarial campaign. There are many ways to skin a cat. Wal-Mart’s success in penetrating top liberal U.S. cities is as likely as a Republican getting elected Mayor in Washington, D.C. or Chicago. This is a political and cultural battle that Wal-Mart cannot win without a cost that may far exceed its benefit. Wal-Mart is at a crossroads. It owns roughly 4,000 stores in the U.S. and 4,000 stores (many under different brands) abroad in 15 countries. As of 2010, it derived 27 percent of its revenues from its International division, mostly in developing regions like China, Brazil, Mexico and India. International revenue is growing at a robust rate versus its anemic growth in the U.S.
Wal-Mart also has trouble entering foreign markets. So the question is where should the battle for entry and growth be fought – at home or abroad? 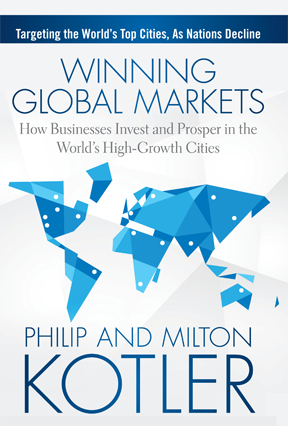 Certainly the major cities of the developing regions in Asia, Latin America, Africa, are growing faster in population and per capita and middle class household income than the cities of America. 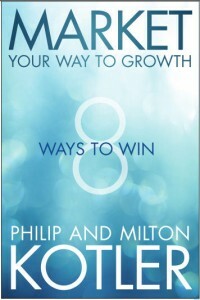 So the matter ultimately comes down to a strategic question of which growth option is the least intractable to manage. The intractability of American cities is both political and cultural. The intractability of developing region mega and large cities is political and economic, not cultural. Politics and economics can be handled with the vast capital assets and cash of Wal-Mart. Culture in rich, developed cities cannot be handled as easily by money. Wal-Mart will not change it company culture to embrace or be embraced by liberal urban America. On the other hand, foreign cities are largely indifferent to Wal-Mart’s company culture. Foreign growth is less intractable for Wal-Mart to manage. The smart strategy for Wal-Mart is to use its resources to grow its international business to equal U.S. revenues, while sustaining its U.S. business at a low rate of growth. It should keep its company culture and adapt it to the nuances of foreign markets. It is far better to focus on international expansion for growth, than try to try to placate liberal cities and apologize for what it will not change.